Global Herbs Laminitis Prone Syrup is a nutritional answer to sensitive laminae through supporting correct digestion and detox of the liver. The majority of laminitis cases are the result of incomplete digestion of food within the hind gut; this poor digestion results in the release of acids and toxins into the blood. These toxins damage the blood vessels that supply the sensitive laminae within the hoof. By improving the horses digestion of grass through feeding Laminitis Prone Syrup the release of toxins is stopped when rich food is eaten, thereby reducing sensitivity in the hoof. This Global Herbs supplement acts as a liver tonic to detoxify the body of toxins. 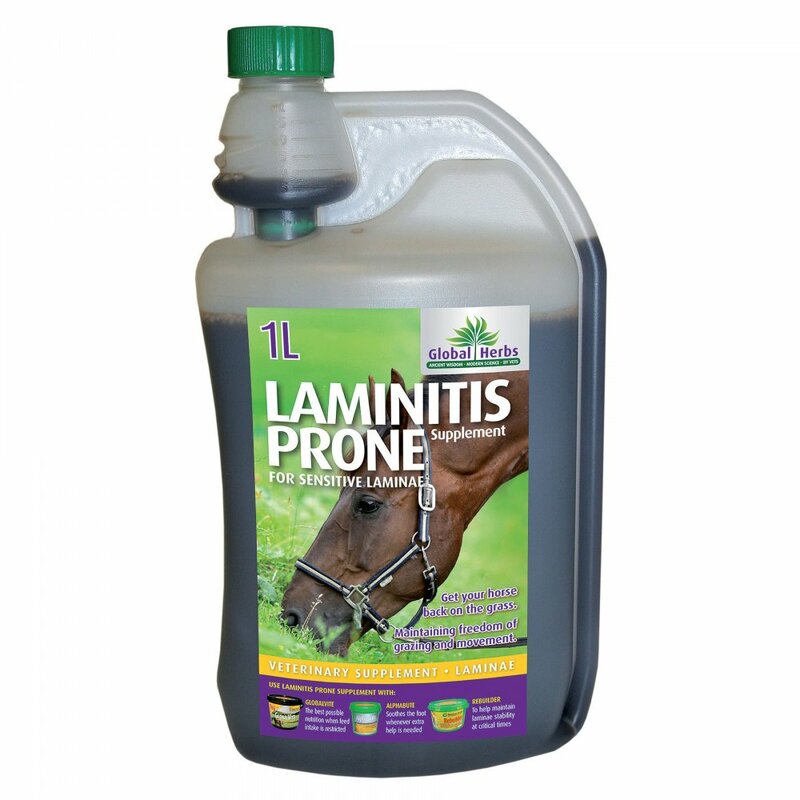 Global Herbs Laminitis Prone Syrup can be fed throughout the year with higher levels fed during high risk seasons.